And as Green Wombat reported last week, Think, formerly owned by Ford (F), unveiled its next model Wednesday at the Geneva Auto Show, a futuristic five-seater called the Think Ox that will eventually be available as a two-door coupe and possibly a taxi. The sleek five-door vehicle resembles a low-slung crossover SUV but maintains the signature touches of the Think City — an urban runabout now rolling off Think’s production line in Norway — including the roof-to-bump glass rear hatch. 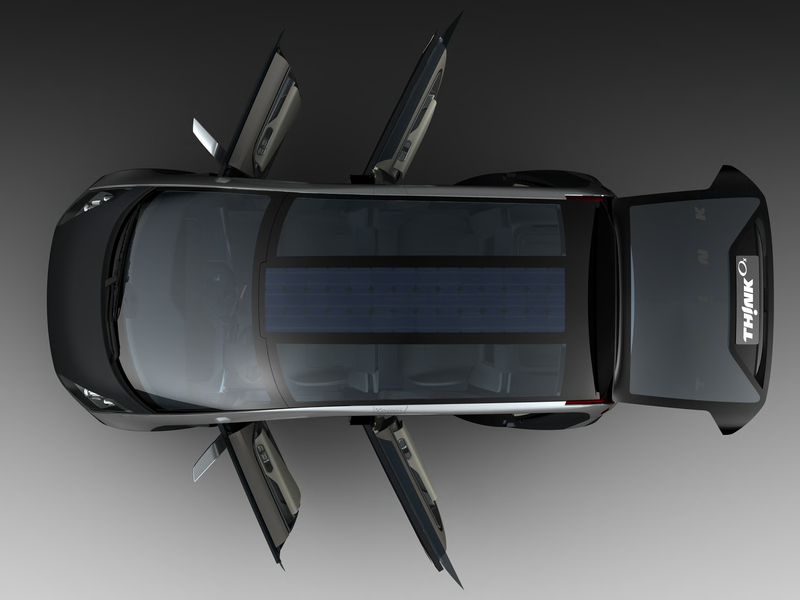 The concept car also sports a translucent roof with a solar panel, presumably to power radios and other gadgets. According to Think, the Ox will have a range of about 125 miles (200 kilometers) on a charge and a top speed of about 85 miles an hour. Future models may include a range extender — a small flex-fuel engine that will charge the battery and let the Ox go 280 miles. 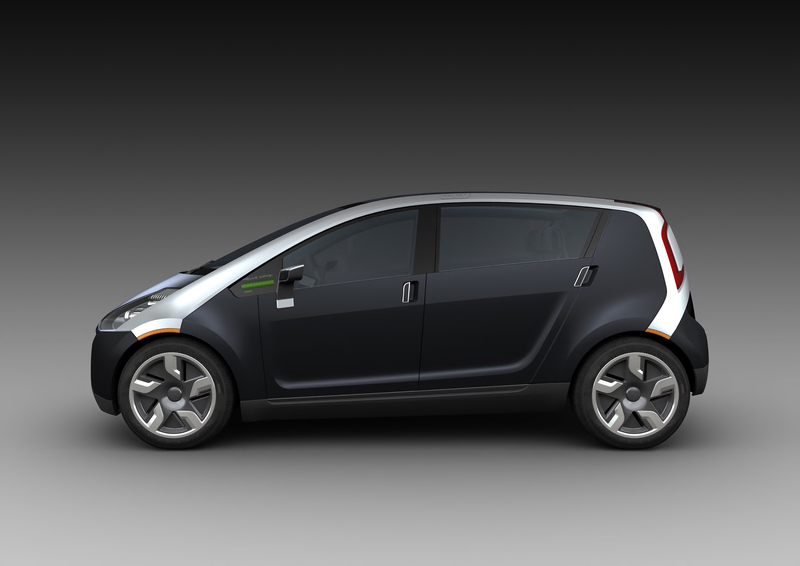 (The General Motors (GM) Volt electric hybrid is based on the same concept.) Think also unveiled its “connect car” technology to make the Think City and Ox a rolling Internet-connected, GPS-enabled computer that will calculate the cheapest and most environmentally beneficial times to recharge as well as give drivers access to the cars’ systems through their mobile phones. 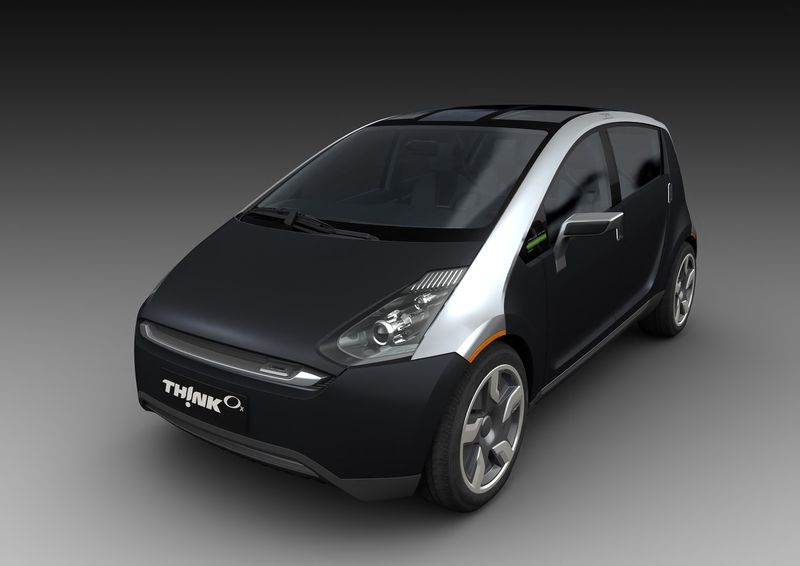 When Green Wombat caught up with Think CEO Jan-Olaf Willums in San Francisco last week he emphasized that although the Ox is being presented as a concept car, the technology is almost ready for prime time and the model that is expected to hit the market in 2011 will resemble the show version. Correction: An earlier version of this story said Think was collaborating with an unnamed Fortune 100 automaker. In fact, Think was collaborating with a Fortune 100 company, General Electric. how many kilowatt hours to fully charge this car? How many hours is a great question ? Where will this car be able to be charged ? Are there going to be agreements at some gas stations for charging pods at there gas station ? How much will a charge cost ? How often will the battery need to be replaced ? How much will the car cost ? Great Concept but questions unanswered seem to be: Performance of battery wrt external ambient temp., How battery rendered useless shall be recycled at what costs to society, What impact on milage and duration of operation without charging if A/C is on wrt hostile ambient temp.s, Are any changes made wrt Use of energy generated by occupants of the car –I guess some charging should get planned for passengers who can use their one arm to move some mechanicals to charge the battery ….WHY USE SAME MATERIALS and not think of weight reduction? This concept car seems to have no radical departure in its desgn and mechanicals? This is great if it pushes through. I hope they release it in the philippines too. Gee I guess that we mindless Americans are again to belief that the idiots on Wall Street really want an energy efficient car when they can buy oil at over $100.00 a barrel. We need to face reality and elect people who aren’t pawns of corporate American.